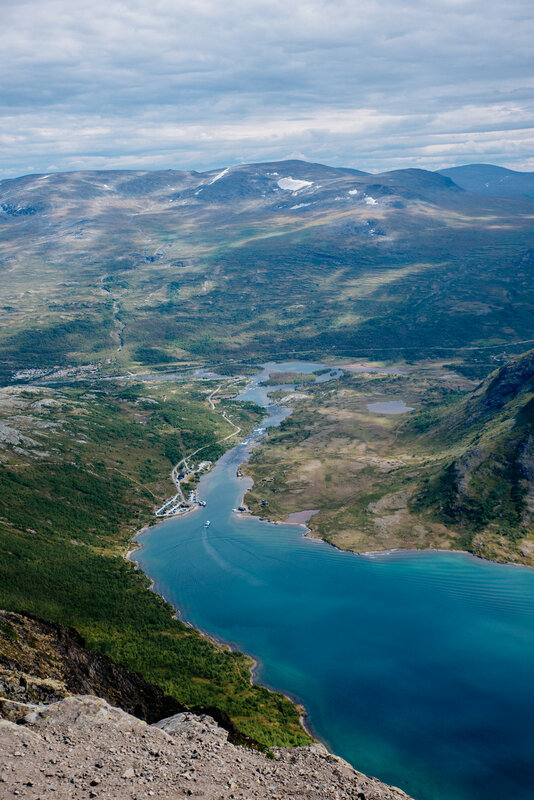 Besseggen ridge hike is one of the most popular hiking routes in Norway. 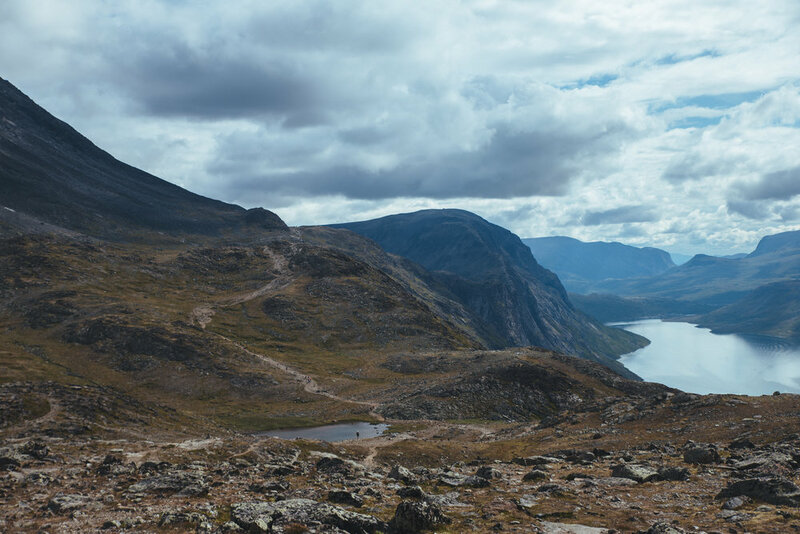 The route is located in Jotunheimen national park and you can walk it either from Gjendesheim to Memurubu or from Memurubu to Gjendesheim. We chose the more popular route, boat ride from Gjendesheim to Memurubu and star the hike from there. 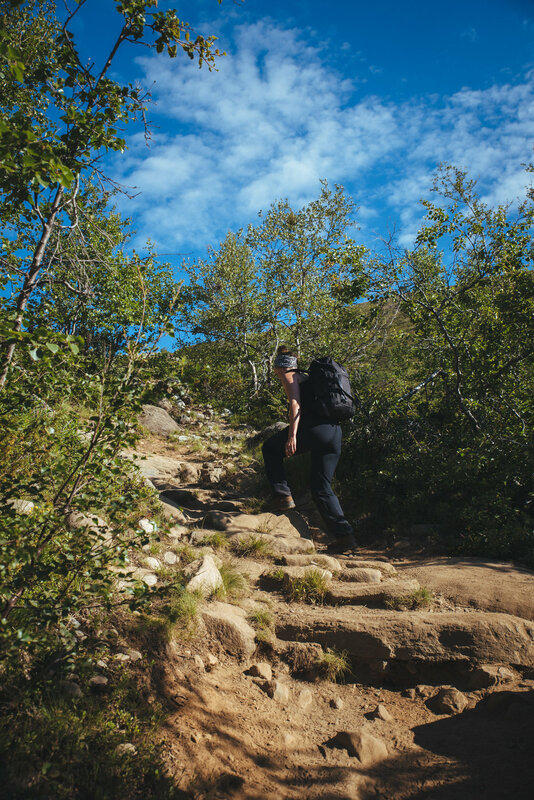 Caution: This hike is extremely popular in Norwegian scale so if you are looking for peace and quiet, I recommend doing the hike off season or really early in the morning or late in the evening (remember to bring your head torch). We arrived to Gjendesheim in the Saturday noon after taking overnight ferry from Turku to Stockholm and then driving across Sweden straight to Jotunheimen. There are plenty of good tenting spots near the lake and the ferry pier. Remember to pack everything edible inside your tent since there are hungry sheeps grazing around the same area. The boat ride from Gjendesheim to Memurubu took around 20 minutes and at Memurubu there is a big tourist/hiker center and the Besseggen ridge hike starts right from there. The start of the hike is typical with small mountain birches (Betula pubescens) and steep incline. After reaching the spine of the ridge you can enjoy the view to Memurubu. The ridge turns in to wide shelf with view to the East. Terrain is fairly easy with small inclines and declines. After couple hours you will see in front of you the most famous part of the hike, the steepest and narrowest part of the ridge. On wider parts of the ridge remember to turn around and enjoy the view to the Gjende lake and the much higher Bessvatnet lake (on the right). The hike continues from here on to the East towards Gjendesheim in easy terrain. After arriving back to Gjendesheim it was time for the obligatory after-hike beers. About 5 minutes after taking this picture the pouring rain started and it lasted in for days in Jotunheimen so next morning we headed to sunny Romsdal.